manners, eager to please, spirited without being spooky. (505)281-0490 Prairie Rose Ranch, Sandia Park, New Mexico. Rusty, the May 2009 colt of Flaming V's Sunflower and Vikingo. Rusty can be registered with the American Indian Horse Registry. 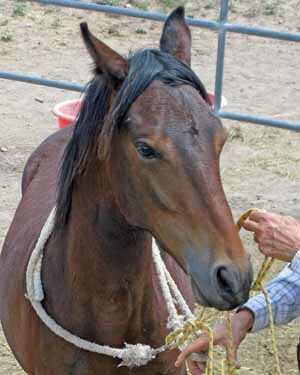 Sandy, the May 2009 colt of Flaming V's Raven and Vikingo. Sandy can be registered with the American Indian Horse Registry. Sparky, right, playing with Resonancia Dos de TCR, a yearling filly, PFHA 54,059. 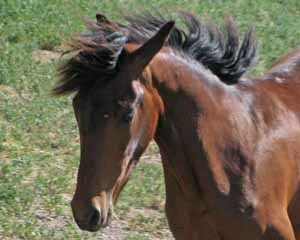 Sparky is the June 2009 colt of Alice and Vikingo. Left to right: Sandy, Rusty, Sparky. 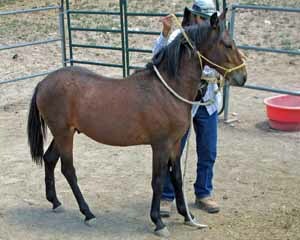 The colts' Classic Fino sire, Vikingo de Los Angeles, PFHA 37,728; North American Single-footing Horse Assn. 2007-52. Rider is Becca Justice. You may view more videos of Vikingo at Becca's and Carolyn's Youtube sites. 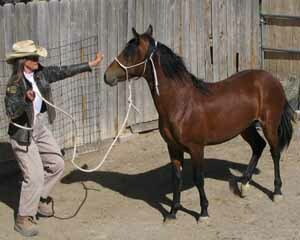 Mike Bertin, along with Becca Justice and his wife Carolyn Meinel, has been training Vikingo to be a trail horse. This video shows Vikingo learning to behave even around mares in heat, including the dams of his colts. 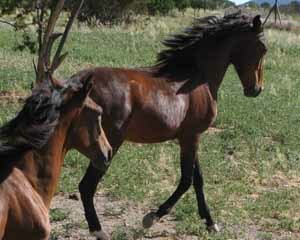 Flaming V's Sunflower (HOA 1566, the darker of the mares) and Flaming V's Raven (HOA 1557) at play. Note how smooth they are even at the gallop. Alice's story. 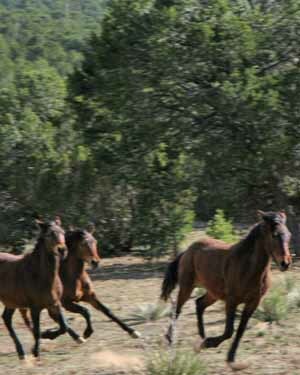 This video includes scenes of all of Vikingo's colts galloping in their mountain valley pasture. This ensures that they grow strong bones and muscles and become confident and sure of foot. See Flaming V's Raven's smooth trocha and canter as Becca takes her over some jumps. 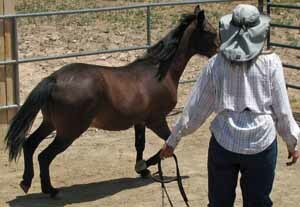 Raven is 75% Choctaw Spanish mustang registered with Horse of the Americas and American Indian Horse Registry. It's a boy! Video above shows Jake, born 6:10 AM April 28, 2008. 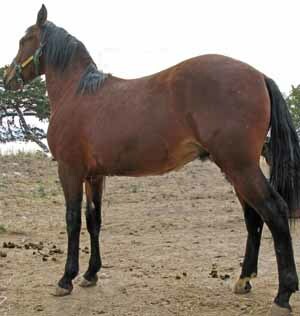 His dam, Flaming V's Sunflower is 68.75% Choctaw Spanish mustang registered with Horse of the Americas and American Indian Horse Registry. El Tigre Segundo, grandsire of both Sunflower and Raven, great-grandsire of Rusty and Sandy. El Tigre is one of the greatest of the Spanish colonial mustangs, an NATRC endurance champion and much more. 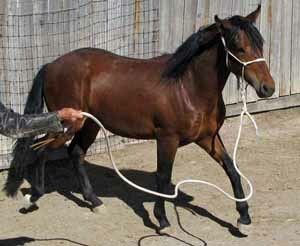 The colts' paternal grandsire, world champion Pirata de Besilu, PFHA 21,295. As seen in this video here, at age 20, Pirata is still gaiting like a youngster. Capuchino Forever - English from FMR Productions, Inc. on Vimeo. � Capuchino is the great-great grandfather of all of these colts. © 2010 Carolyn Meinel Bertin. All rights reserved.